A member of the Commission for Financial Capability’s Leadership team, David’s focus is one of helping all generations prepare for their retirement years. With a focus on the 50 plus age group, his role has been established to help New Zealanders plan and transition from working income, to investment income and how best to get there. With more than 32 years of experience in the financial services industry and a passion for financial capability he brings a wealth of experience to the Commission. 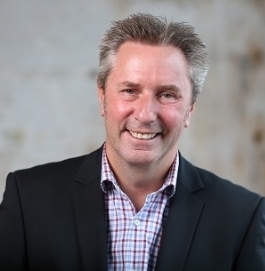 Previously, David was GM Distribution Funds Management for ANZ Wealth and a member of its leadership. Before that he was GM Funds Management and responsible for the end-to-end accountability of their investment product range including KiwiSaver and managed investment funds. David is a Councillor for Workplace Savings, and has been appointed to the Government steering group that is reviewing the Financial Advisers Act in New Zealand with the Ministry of Business, Innovation and Employment. David has also recently accepted a board position with Stand Children’s Services previously known as Children’s Health Camps. At age 37, I met Joe Kimble—my legal-writing professor; almost immediately, I became a late-in-life convert to plain language. Since then, I’ve used and advocated for plain language in my professional lives (research attorney, professor, and now plain-language trainer and coach), and I’ve supported plain language through my work with Clarity, the Center for Plain Language, and PLAIN. Still, it wasn’t until I started attending international plain-language conferences that I realized I’d truly found “my people.” I’ve been the editor in chief of Clarity (now The Clarity Journal) for more than a decade, and I’m the treasurer for the Center for Plain Language. I also like to sing from time to time. Charlene Haykel is a writer, editor and strategist with 40 years' experience in marketing communications. For 26 years, she has specialized in simplified communications, a set of skill sets and disciplines that simplify complex information for lay audiences. She earned a BA in English from Daemen College in Buffalo, NY and an MA in journalism from the University of North Carolina at Chapel Hill. Ms. Haykel has spoken extensively on issues of transparency in investor communications and simplification processes for such organizations as the Investment Company Institute; the Institute for International Research; the Conference Board; the Professional Insurance Marketing Association; the Insurance Marketing Communicators Association; the Life Communicators Association and the Financial Communications Forum and the Document Strategy Forum. She has also been featured on CNNfn and CNBC, ABC Eyewitness News, New York, and the Jean Chatzsky personal finance show on Oprah Radio. Charlene recently joined LanguageLine Solutions, the largest translation and language access company in the United States. She has created and directs their new product, Claritysm, simplifies documents before translation to ensure their clarity and comprehensibility in every language. Rob Hulls began his career as a Solicitor for the Legal Aid Commission of Victoria and later went on to serve in Federal Parliament. In his state political career Rob held the offices of Attorney-General; Minister for Manufacturing Industry and Minister for Racing, Minister for WorkCover, Minister for Planning and Minister for Industrial Relations. As Attorney-General, Rob instigated significant changes to Victoria's legal system which saw the establishment of the state's first Charter of Human Rights and reform to Victoria's Upper House. He established special courts for Victoria's indigenous community and introduced an open tender process for applicants to Victoria's judiciary. In October 2012 Rob was appointed Adjunct Professor at RMIT and was invited to establish the new Centre for Innovative Justice as its inaugural Director. Dr Neil James is Executive Director of the Plain English Foundation in Australia, which combines plain English training, editing and evaluation with a campaign for more ethical public language. Neil initially worked in government, the media and publishing before completing a doctorate in English at the University of Sydney. He then established the Foundation with Dr Peta Spear in 2003. Neil has published three books and over 80 articles and essays on language and literature. Writing at Work has become a standard reference on plain language in the workplace writing, while Modern Manglish looks at the lighter side of poor public language. Neil is a regular speaker about language in the media throughout Australia, where he features on the ABC and Nova radio networks. From 2008 to 2015 chaired the International Plain Language Working Group and in 2015 became President of the Plain Language Association InterNational (PLAIN). Susan Kleimann, PhD, leads a small business that provides research and training to help organisations create clear, consumer-focused information. Dr. Kleimann has more than 35 years of experience creating messages that people can understand and use. Since founding her company in 1997, she has become an international expert on user-centered design, consumer evaluation of documents and disclosure development for complex regulations and rules. Zane Scarborough is programme director at the charity Parenting Place. In this role, he helps develop and implement programmes that aim to inspire and equip all whānau in Aotearoa to flourish. Each year, over 250,000 Kiwis experience the Toolbox, National Young Leaders Day, and Attitude programmes. With a background in health promotion, Zane has worked alongside many organisations in the pursuit of clear and persuasive communication. This work includes recent projects with Vodafone, Auckland Transport, the Ministry of Social Development, and the University of Auckland. Zane has recently launched his latest project, Meaningful Exchange, a consultancy business that aims to coach people in the art of powerful speech making and writing. He is of Ngāpuhi descent and with his wife Chloe, are proud parents of Paora, Hinewai, and Mahina. Christopher Trudeau is a Professor at Western Michigan University, Thomas M. Cooley Law School. He currently teaches Torts, Property, and all of the school’s legal research & writing courses. Professor Trudeau is a zealous advocate for plain language. He has focused much of his recent research on combating archaic, traditional language in law, health care, government, and business. In fact, Trudeau has published the only U.S. empirical study on the public’s preference for plain language – The Public Speaks: An Empirical Study of Legal Communication – in volume 14 of The Scribes Journal of Legal Writing (2012). Also, Professor Trudeau is one of the leading legal advocates on health literacy. He and has recently spoken for the U.S. Institute of Medicine and the FDA on designing clear, user-friendly consent processes that patients can understand. Trudeau has also presented seminars and webinars for numerous healthcare organizations. Before founding her plain English consultancy, Elemental Communications, Caitlin worked across consumer policy, research and communications in Australia's competitive and fast-moving energy industry. Within the consumer sector and, later, for the Energy & Water Ombudsman (Victoria), she was deeply involved in regulatory reform processes and consumer education initiatives, focusing on issues like financial hardship, door-to-door selling, pricing and switching. These experiences convinced Caitlin of the importance of plain language – both for empowering consumers and for influencing industry and government. With an academic background in social research and political theory, Caitlin is interested in understanding the big ideas that shape policy, business and everyday life.